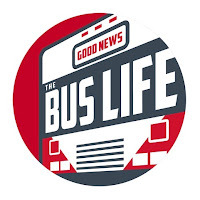 Join the Good family as they install their new Atwood AFMD30111_A Propane Heater, travel across the states and have their first Christmas in the Good News Bus. How is your heater treating you? If i am reading the specs correctly it is a 30,000 BTU furnace. Is that enough output to heat the bus in winter cold or would you encourage a second heater? My extreme cases will be winter use in The Rockies. Thanks for the Blog and the updates. The heater can roast us out. It is more then enough heat.